In another sign that the battle over legalized pot is heating up on the home front, a bill introduced in Michigan would bar medical marijuana patients and caregivers from growing or smoking the drug without landlords' permission. The issue, reports the Michigan news media, is the damage that can result. The bill was introduced by state Sen. Rick Jones, a Republican from Grand Ledge, who told Lansing TV station WILX that the law is needed because pot-grow operations have caused water damage to property "and we've even had a light turn over and start a fire." His bill would exempt those who use pills or creams containing the drug, however. Another issue is the drug's odor when smoked. 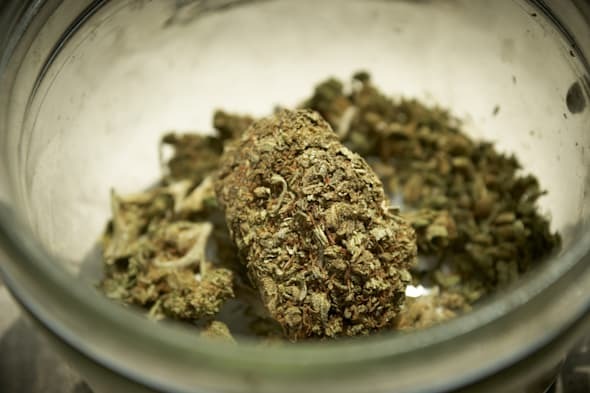 "I had a resident that when I asked him to remove it he stated he had a medical marijuana card," landlord Michelle Foley of Ann Arbor reportedly testified this week at a hearing on the bill. "I had to wait until the lease was up and then it was costly for us to turn the unit. We had to dissipate the smell and clean the ducts. It took us two months to clean." Other reports on AOL Real Estate have shown that Michigan landlords are hardly alone in pushing back against pot use. In California, a state at the medical-marijuana forefront, landlords can prohibit its use for that purpose on their property. And even in Colorado, where this year it became legal to possess and use limited amounts of marijuana recreationally, landlords have the right to bar it from their property, along with anything else they choose to prohibit. Those marijuana users who can afford to buy their own homes still might find themselves subject to local restrictions that limit or bar its growth or use. Colorado real estate broker Bob Costello, who describes himself as "the 420-friendly realty broker," recently told CNBC, "I'm bursting people's bubbles on a daily basis." Speaking in opposition to the Michigan bill, renter and caregiver Maria Green told WILX that Jones' legislation would give "more ammunition to the police and prosecutors. "They'll to be able to prosecute these caregivers and patients who are sick," she said. Green suggested that landlords who are worried about damage to their property from marijuana growing and smoking could instead increase the amount of security deposits required by renters using the drug. An attorney for a Detroit law firm that specializes in marijuana-related cases called Jones' bill "discriminatory." "It would end up so some people couldn't even use it in their own residence," Mark Able of Cannabis Counsel was quoted as saying by the news site MLive. "People who can afford their own home don't have to worry about it, but people who are less fortunate and rent would be subject to the predilection of their landlords." On that point Able and Jones appear to agree, somewhat. "If you're going to smoke and bother people, you need to own your own home," the state senator told WILX. "If you're growing a mini farm, you need your own home."